Omegle is one of the most crowded chat platforms on internet and sometimes the site is giving errors because we keep their servers busy and sometimes staff is banning people with accident. If you can’t unban from from Omegle and if you can’t fixing errors, we are going to offer some sites for you which can replace Omegle. You will able to chat on these sites freely and you will able to talk with strangers. We are going to offer you only free sites and unpopular sites where you can meet with these girls on this article. We have already told you about Chatrandom, Camzap, Chatroulette, TinyChat, MnogoChat, Imeetzu on many of our pages. These are the best alternatives of Omegle. However there are still many sites which you can use for communicate with people. This time, I am going to tell you about these sites. If you would like to find girls, some of these sites will provide you gender filter. You will able to see features of all of these sites and you may decide to connect one of them with checking their features. We don’t give direct links to sites on here. However you can still find sites with searching their name on Google easily. You will find simple sites and sites with many good features here. We have described these Omegle alternative sites shortly for you. QuieroChat: There are generally people from Latin America on Quierochat. If you would like to meet with Latin girls, it will be a good choice for you. There are chat rooms and stranger chat options on the site. You can use one of these options. There are many language options on the site. BazooCam: BazooCam generally has people from French-speaking countries such as Switzerland, France, Belgium, Luxembourg, Mali, Tunisia, Algeria, Morocco, Congo, etc. There are also people who prefer to speak English on the site. If you want to date with someone who speaks French, Bazoocam is perfect option for you. It’s one of good sites similar to Omegle. ChatAlternative: ChatAlternative is an English site and you can meet with people whole around the world on the site. It’s free to use and you don’t need to register to site. There are video chat and audio chat features on the site. Camera is not required. Wizzcam: A Chatroulette dating site which provides a chat service without registration. It’s easy to use this site at all and you don’t need to pay for any feature of the site. There are many online users and there are many girls on the site who wants to start a dating with a stranger. LoveRoulette: You are seeking for a love on Internet? LoveRoulette will able to give you what you want with their many online girl users. If you would like to start a dating with a girl or a guy, Loveroulette will be a good chat site for you. You can use it freely and without registration. OneChatroulette: OneChatroulette is one of Omegle alternative sites. It’s very handy and easy to use. It’s International and it’s in English language. It won’t be hard for you to chat with people. No need to register and you don’t need to login to site. MnogoChat: You will find a lot of alternatives in one site. Mnogo Chat includes Russian, German, Italian, English chat sites inside. You can use them without registration. No cam required on these sites. Chatrandom: Popular Omegle alternative on internet. You can filter many countries on the site. You need to be 18 years old for join this site. There are numerous online people on Chatrandom. Camzap: There are two kind of chat on Camzap. One of them is Camzap roulette which will provide you a random chat. The other one is Camzap chat rooms. You will able to get partners here with searching them. You don’t need to register for using Camzap Roulette. You need to register for Camzap chatrooms. Iddin: It’s a text chat where you can upload your photo. If you don’t want to upload your photo, it’s not required. If you want to upload your photo, you can do it via follow instructions. There’s no video chat feature on Iddin. Tohla: Tohla is another good site where you can meet with Indian people and other strangers from Europe and Asia. It’s one of the best Indian sites like Omegle. There are video chat and text chat feature on the site. You need to be 18 years old for chat on this site. ChatRad: A simple site like Omegle. You can meet with people from different countries on the site. All features are free and you don’t need to spend money for services of ChatRad. You don’t need to register to site and webcam is not required. Imeetzu: You can generally meet with Asian people and American people on Imeetzu. It’s very famous dating and chat site. You can filter locations in random chat and you can make detailed searches on dating platform. 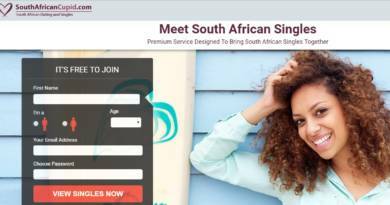 There’s also an online chat platform on dating service of Imeetzu. RouletteChat FR: Roulette Chat FR is a French site where you can meet with many people from Algeria, Tunisia, Belgium, Switzerland, Andorra, France, Morocco, Monaco and Luxembourg. There’s Cam2Cam feature, multi chat feature and chat roulette feature on the site. Chatroulette Norge: Chatroulette Norge is a chat site which you can meet with Norwegian girls and guys. It’s free to use and you can login with your Facebook account to site. If you don’t login to site, you won’t able to use it at all. It’s free to use. If you want to meet with Norwegian people, we recommend you to use this site. Chatroulette Sverige: Chatroulette Severige has similar features with Chatroulette Norge, however if you would like to meet with people from Sweden, Chatroulette Sverige will be a good option for you. You will meet with many blonde girls on Chatroulette Sverige. Chatrt DK: Chatrt DK is Chatroulette Denmark site. You will find many beautiful partners from Denmark, Faroe Islands and Greenland on the site. You don’t need to register to site and you need to be 18 years old for using this site. You need to have flash installed in your browser for chatting here. VideoChat AU: Australian video chat site where you can meet with Australian and New Zealander people. It’s simple to use and it’s English. It’s a one of nice sites similar to Omegle. There’s no other language option on the site. You can meet with people from Oceania (Australia, Tuvalu, Fiji, New Zealand, Papua New Guinea, Tonga, Solomon Islands, Christmas Islands, Vanuatu, Niue, etc.) There are also VideoChat US, VideoChat DE, VideoChat RU, VideoChat PL versions of the site. Chatroulette FR: Chatroulette FR is a good French chat site. It has a similar view with Chatrandom. You can filter countries on the site and you can filter those who hasn’t cam on the site. No registration required and it’s free to use. RouletteChat BE: RouletteChat BE doesn’t providing random chat for their users. You shouldn’t believe its name. The site is providing multi chat rooms for their users. You can use this site easily. The site language is French and there are people from Western Europe and Northern Africa on the site. It’s a Belgium site and there are people from Belgium mainly. Chatroulette TR: Turkish Chatroulette site. There’s a gender filter and you don’t need to be 18 years old at the least. You can connect to site without camera. No camera required on the site. You need to know Turkish, if you want to communicate with people. There’s no any other language options on the site. You can still use the site if you have used Chatroulette before. CzatRuletka PL: It’s a Polish chat site and you can meet with many beautiful partners on these site. There are generally people from Poland on the site and you can find people from Belarus, Germany, Latvia and Lithuania on here. It’s a simple chat site where you can meet with Polish girls and Guys. Chatroulette ES: Chatroulette ES is a spanish chat site where you can meet with girls from Spain. It has a similar looking with Chatrandom. You can filter countries here and you can begin to chat with Spanish people. It’s easy to use, if you ever used Chatrandom before. Chatroulette PT: It’s a Portuguese version of Chatrandom. You can chat here with Portuguese people and you can meet with new people. If you want to make friends from Portugal it will be the best option for you. It’s one of good sites like Omegle where you can meet with girls. These are good Omegle Alternative sites which gives you a good chat service. If you want to suggest any sites to us, please comment here. Which website is the safest on this list? I am tired of watching morons on camera really. I just want to have random text chat without spams, bots, etc. Welcome to How to Chat Online and thank you for the question. I should admit that we should update this content as soon as possible since it is very outdated. I am going to provide better options for you on this page as soon as possible. However from what you tell, I can recommend you Emerald Chat without any doubt. You will not see any of those morons on there. There are not spammers, bots and captchas on the website also.